A commission team painted for a friend. The miniatures are Games Workshop’s Chaos team. 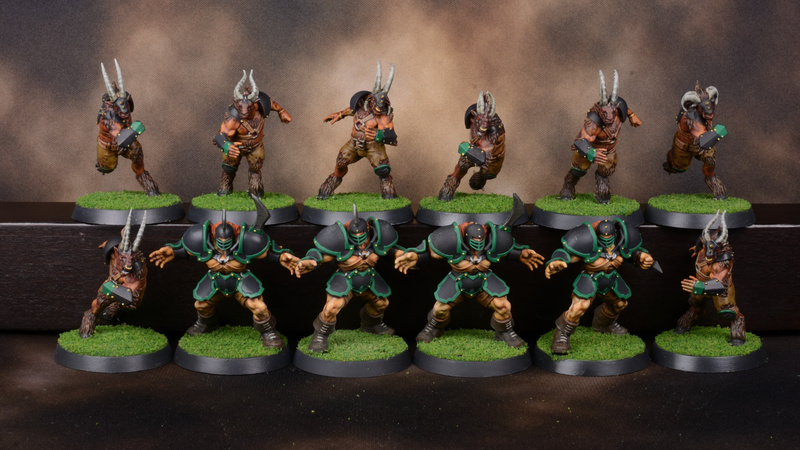 The request was for a black and green scheme to match the Chaos Dwarf team. I’m not in love with these, but I think that is because the sculpts don’t really do much for me. As opposed to not being happy with the painting.